Last year, I experienced a special kind of magic at Gamescom. That magic came in the form of Skylanders on iOS. The idea made so much sense, and the implementation was so perfect, I was honestly blown away. You see, most kids play Skylanders, and then get upset when it’s time to leave the house and their mom and dad make them turn off the console and go. Alternatively, they aren’t allowed on the console, but they are allowed to play on the iPad. Skylanders on mobile devices was a revelation, and it’s continuing this year. What I liked about it the most was that kids could continue playing on just the iPad while out of the house – certain characters were stored in the mobile device so they could play in the car or wherever. It’s the same complete game, just on tablet. This year, SuperChargers will also include the entire game, but this time it will also include a cloud save feature to allow for playability between multiple iOS devices. 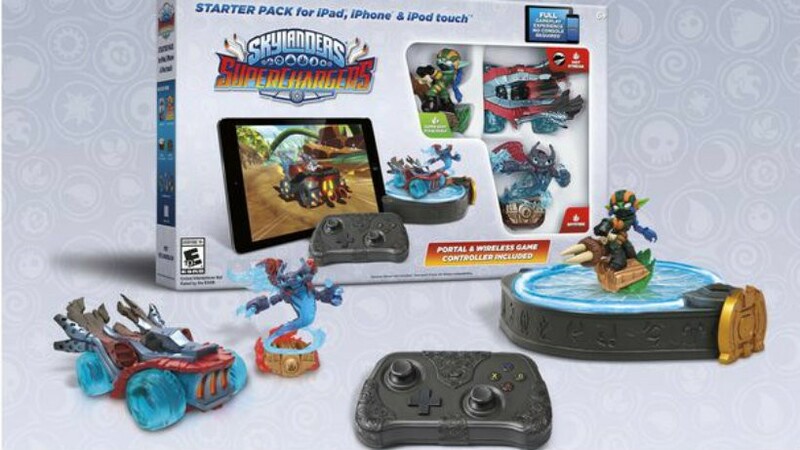 The starter pack will include a Bluetooth portal, a Bluetooth controller and a built in-stand as well as the two Skylanders character figures and one vehicle. Upon download of the game, players will get Instant Spit Fire and Instant Hot Streak for free with the download, while in-app purchases will unlock Instant versions of Dive-Clops, Dive Bomber, Super Shot Stealth Elf and Stealth Stinger. It’s this kind of innovation that will help keep Skylanders relevant for families, even as Disney Infinity and Lego Dimensions grab their share of the toys to life genre. I wonder how many ideas Skylanders will have up their sleeves – how long can the franchise keep innovating and staying fresh? Still, vehicles are changing things up this year, and by offering the complete game on iOS as well, it’s the ultimate in family life friendly gameplay.